The body of Healther Tillette was found on Sunday by the Philadelphia Search and Rescue Team. The body of a woman who has been missing since last February was discovered in the woods of East Norriton on Sunday afternoon, NBC 10 reports. 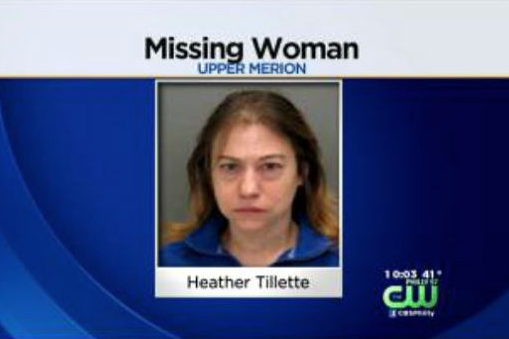 Heather Tillette was reported missing on February 28, 2014 after last being seen exiting Einstein Medical Center in East Norriton two days earlier. The East Norriton and Upper Merion Township police departments investigated the case while searches were conducted by the Philadelphia Search and Rescue Team. A cause of death has not yet been determined but the Coroner's Office continues to investigate.